Contact our offices for a free phone consultation and to schedule a personal appointment to meet with one of our lawyers about your specific legal matter. 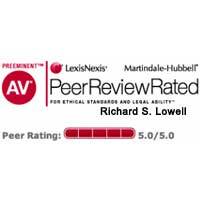 I have been so thrilled with the attorneys and staff at Magnuson Lowell. Years ago, I had been involved in two separate accidents. 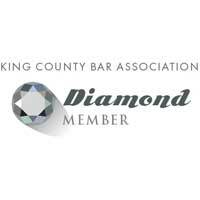 I contacted a couple of personal injury attorneys in Bellevue. They made me do a lot of work just to see if they would take my case - and then they refused. But Rick Lowell talked with me, met with me, and agreed to represent me. He got me a great result. Later, I was involved in three more accidents. (Yes, you'd think I had a target on my back.) Of course, I went back to Magnuson Lowell. They knew exactly what to do; how to handle my claim; and how to help me. As before, I was represented by Rick and his paralegal Linda - as well as Rick's son, Josh. These are smart, personable, caring individuals. They are detail-oriented, very communicative, and were always looking out for my best interests. Eventually, they were able to settle all three accidents - convincing 4 different insurance companies to pay the maximum amounts available to me on 6 different insurance policy claims. Thank you Rick, Josh, and Linda. I am so happy you came into my life when I needed someone like you so much. I feel so lucky to have hired Magnuson Lowell to handle my injury claim. They worked hard; they were amazingly thorough; and they were relentless. The insurance company offered only $50k. We said 'no.' the insurance company then got snotty and withdrew all offers; telling us we were dumb for bringing this claim. But after 5 days of trial, the jury awarded me over $750,000!! Thanks Rick, Josh and Linda for believing in me and my claim. You believed - and so the jury believed! As a disabled amputee, it is not always easy for me to get around. I was riding my scooter up the sidewalk near my home when a truck came out from a driveway and knocked me and my scooter into the street. That started a nightmare for me; eventually leading to my being hospitalized, undergoing surgery, and almost dying. A friend of mine from Duvall insisted I call Magnuson Lowell. That was the best advice I could have received. Rick and Linda came out to my house and talked with me about my case. They obviously cared about me and my situation. They investigated my claim thoroughly. When I felt desperate, they were the calm in the middle of the storm. 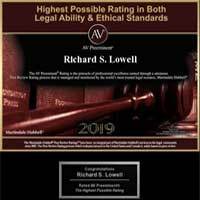 And when it finally came time to try to settle my case, Rick was professional and yet aggressive; zealous and yet exuding common sense and wisdom. Rick negotiated a large six-figure settlement for me that allowed me to reach a level of financial tranquility that I had not experienced in many, many years. I hope I never need their services again - but if I do, they will be my first call. And they will always be my first recommendation. We want to thank you for the great work you did for us. When John was in the hospital, Scott, Karen, and I interviewed 3 lawyers. We knew they were all competent, but we all felt most comfortable with you. And, we are so glad we selected your firm! You were always responsive to our questions, and kept us informed of the process. You did a wonderful job, and the results were beyond our expectations. We appreciate all you have done. Thank you. Mary Ann and John M.
Thank you so much for making this adoption work. You have blessed my family by making this dream come true. My family and I appreciate it. God had laid it on my heart when I was little to be adopted; and he used you to make it a reality. Thank you so much. Thank you for all your work. I truly am relieved to put this behind us. Hopefully we will not need your services again, but if we do, I am confident we will be represented well. I'd like to take this opportunity of thanking you for taking up this case and successfully reaching a settlement. 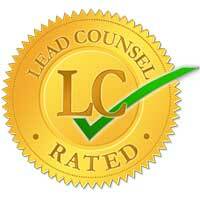 We appreciate all the work and prompt follow-up leading up to a favorable outcome. We are glad that mom can have some closure on this. I would certainly not hesitate in recommending your services to our friends and family here. In 2008 I fell and broke my left leg, right foot, sprained both my ankles badly, spent 5 days in the hospital and another 5 in a rehabilitation facility. Never having had broken bones before I really thought I'd be up and around in a couple weeks – oooh silly me (more like 9 months of home care, physical therapy, surgery and more physical therapy and not being able to walk for 4 months-thank heaven for the knee scooter). When I called the insurance company responsible for the building where I fell, I ran into a brick wall. The adjuster refused to give me any information on their client's coverage or if anything would be covered at all. I was in tears as I couldn't even get myself into a wheelchair and the hospital was talking about sending me home because my insurance didn't cover the rehab facility. God bless Rick Lowell and Linda Collins! I found Magnuson Lowell on the internet and the same day Linda came to see me in the hospital and took my case. As for the insurance company – after Linda and Rick got involved they started reimbursing me for the part of the medical bill my insurance didn't cover – but they drug their heels on settling. More than 3 ½ years – yep, 3 and ½ years – later they finally settled – after another surgery and more bills! Through all that time, Rick and Linda worked hard and helped me through multiple difficult depositions and the frustration and anxiety that went along with them. In the end, I received an appropriate settlement and made two new friends in the process. Thank you Rick and Linda for your diligence and for helping me through one of the toughest ordeals I've ever had. God bless. I wanted to thank you so much for being on this case and getting this closed for us. We are so grateful. We just recently had a baby so I've been slightly distracted. :) But I wanted to thank you very much for all your effort and hard work. Thanks again. Because of the nature of my case, I was referred to three different law offices. After interviewing each of them, I found that Magnuson Lowell was the perfect fit for me. With your professionalism also came compassion. Both personally and legally you were an exceptional team that, obviously, worked out very well for me. Thanks for everything. I feel that the service that I received at Magnuson Lowell was fabulous. I never felt out of the loop in anything regarding my case. They made me feel safe and that was very big for me. They were very confident. And so I felt so comfortable when [Rick], was so reassuring. I would recommend him to anybody . . . for anything. They're good people. An honest attorney, imagine that! I can't thank you enough for the job you did for me. You made a dream for someone come true and that should say something. God bless you both. In early June last year, I contacted your office concerning a traffic citation I had recently received. I was surprised to receive a response as quickly as I did. Although I do not recall the specific person who contacted me, he did so the same day. He could have gone home and contacted me the next day, but instead chose to contact me right away regarding my legal options. The information provided was clear and informative and has been helpful in getting my traffic citation resolved. I just want to say "thank you" for being so professional, and for having an easy to navigate website with useful content. Though I do know that the telephone consultation was free, please accept the enclosed check as a token of my appreciation for your help. Keep up the good work. Doctors and lawyers don't tend to get along, but getting to know Rick has been a real treat. After serving on submarines with the Navy, Rick became a lawyer. He put in his time with one of the big law firms in downtown Seattle and decided the cut-throat world of high stakes lawyering wasn't for him. With his partners he set out to become a lawyer, "for the person next door." Handling things that are serious for the average person who doesn't have millions of dollars at stake. My favorite thing about Rick is his commitment to helping people. If you have a legal problem and Rick doesn't have the solution for you, he knows someone who does and will happily pass you on to that person. Rick is the only lawyer I've ever sat with and talked to that acted like a real human being (I know there are other great lawyers out there, I just haven't met them), and his caring and skill at what he does is apparent. He's at the top of my list to call if I have legal issues. Call for a FREE consultation 425-885-7500. 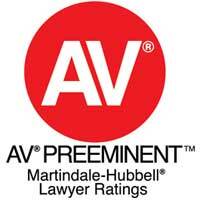 Over thirty years of Personal Injury Lawyer experience. Magnuson Lowell attorneys are dedicated to fighting for you. 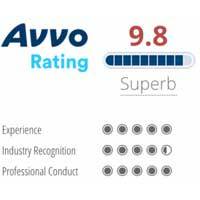 Read our testimonials and reviews. Talk to an experienced personal injury lawyer about your accident or personal injuries. Locations in Redmond and Duvall WA.